Going through deportation or removal proceedings alone is stressful and almost impossible to accomplish successfully without good legal representation. 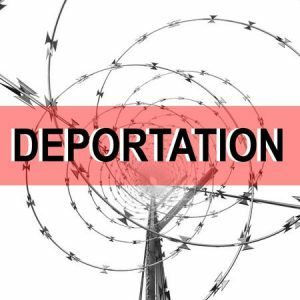 We can help you in your deportation and removal defense in Houston or anywhere else in the United States. 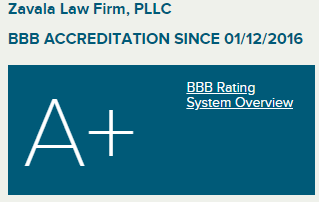 Zavala Law Firm, PLLC is capable of providing excellent representation in your case. If you have a family member detained by the Immigration and Customs Enforcement (ICE) we can provide a legal visit in the detention center and assess the immigration charges. In many cases, we can help you request and provide representation for a bond hearing or reopen a prior deportation case. Zavala Law Firm, PLLC specializes in asylum cases for asylum seekers, special juvenile immigrant visas for minors who have been abandoned, neglected, or abused by a parent, cancellation of removal for residents and nonpermanent residents, NACARA, permanent residence (green card), VAWA, U Visas for victims of a crime, of T Visas for victims of human trafficking. In some instances, even if you are placed in removal proceedings but are not a priority for removal according to the current immigration policy, we can help you close your case in court or apply for deferred action. If you are in need of an experienced and a passionate advocate for your particular case, contact the Zavala Law Firm, PLLC today.